If you have Parkinson’s disease or you’re a Parkinson’s caregiver, you know that the condition affects more than just bodily movements. It’s much more than just tremors, stiffness, and the occasional balance problem. We asked our Living with Parkinson’s Disease Facebook community to share some of the most insensitive things people have said about the condition. Here are a few things they’ve heard — and what they wish they’d heard instead. Parkinson’s is a chronic, degenerative disease. This means that the symptoms get worse over time. Every case is individual, so what your friend looks like or is experiencing may be completely different from a family member suffering with the same disease. It’s impossible to predict where your friend will be a year from now, let alone ten years from now. Motor symptoms are often the first signs of Parkinson’s disease. These symptoms include difficulty with balance, trouble walking or standing, and resting tremors. However, these symptoms can be indicators of other conditions too. Because of this, it can take years before someone receives an official diagnosis. 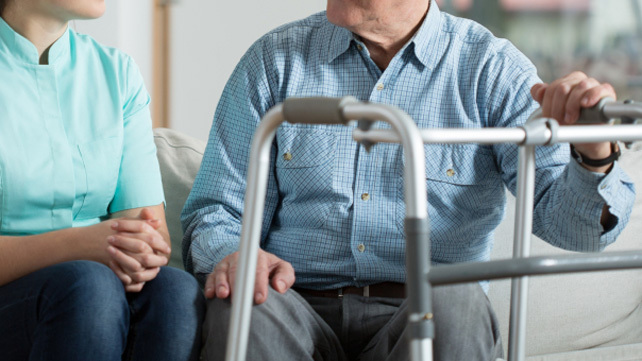 While most people with Parkinson’s are diagnosed after the age of 60, the disease can affect anyone over the age of 18. Although there’s currently no cure for it, new treatments, medications, and surgeries allow individuals to live a fulfilling and productive life — no matter what age they’re diagnosed. More than one million Americans have Parkinson’s, including Michael J. Fox, Muhammad Ali, and Linda Ronstadt. Getting an accurate diagnosis can be a difficult and lengthy process. This is because there’s no one diagnostic test. On top of this, every case is different and everyone will have a different treatment plan. Research has found that staying positive and being proactive are two of the best ways to slow symptom deterioration and disease progression. Parkinson’s primarily affects motor skills, but it can also take a significant toll on a person’s mood. In fact, close to 60 percent of those with the disease experience mild or moderate depression at some point. Being depressed can make it more difficult for your friend to do certain activities they once loved. Rather than taking a backseat and waiting for your friend to reach out to you, take the initiative yourself. Call and see if they’d like to go on a short walk with you or join you and your family at the movies. If you think they’d rather stay at home, surprise them with a homemade dinner for the two of you to share. Small gestures like these can make a big difference in your friend’s overall mood and quality of life. There are several medications for Parkinson’s, but the disease isn’t reversible or curable. Because the disease can impact cognition, it’s often difficult for those with the disease to stay on top of their medications. It’s common for people to take multiple medications at different times throughout the day. Your friend may have trouble remembering if they took their medication or when they are scheduled to take their next dose. If you notice this, ask if there’s anything you can do to help. Setting a reminder on their phone or even placing a sticky note on their refrigerator shows you’re there for them. Each person’s experience with Parkinson’s is unique. This makes it impossible to know what someone is going through. Both the symptoms of Parkinson’s and how fast it progresses vary from one person to another. So even if you had a family member or another friend with the disease, it’s unlikely that they’ll be feeling the same way. By asking if your friend needs help, you’re showing that you care and want to help make their disease more manageable.